Draft minutes of the meeting of Winstred Hundred Parish Council held at Salcott Village Hall at 7.30pm on Tuesday 12th March 2019. Draft minutes of the meeting of Winstred Hundred Parish Council held at Peldon Village Hall at 7.30pm on Tuesday 9th February 2016. Zone Wardens Report: ‘Clean for the Queen’ litter picking is to take place on the weekend of 5th and 6th March and local people are taking part. Borough Councillors: Colchester Borough Council is not increasing its part of the Council Tax but there will be an increase of 3.99% from other sections. County Broadband is in the process of being updated to accommodate new customers as it is running at full capacity at present. Natural England is holding meetings at present to listen to suggestions for their Coastal Access Scheme. There has been mention of nuisance horses and motor bikes on Pete Tye Common which will be looked into further. At the Local Community Action Panel it was suggested that for a relatively small cost per household a PSO could be funded to assist with the lack of a Police presence in and around our villages. S106 funds can be used for new fencing required for the play area at Salcott and with some Locality Budget money. Certain planning enforcement issues will be looked into. County Councillor: The County Budget was explained in detail and reasons for the increase. No frontline budget has been cut and as always a substantial part the budget is spent on social care. At the recently held Local Highways Panel meeting funding was allocated for speed assessment strips in St Ives Road and Lower Road in Peldon. The potholes in Salcott, bridge at Mill Lane and missing finger posts in Great Wigborough are being redirected for possible results. 1. Playgrounds and Playing Fields – Quotation to be received for Salcott fencing and installation in time for available funding datelines. A bench needing repair at Peldon will be looked into for possible removal. 2. Peldon Parish Councillor Vacancy – This vacancy will be advertised in the normal manner on noticeboards, magazines, etc and the closing date for applications to be received by the clerk will be 31st March. 3. Vehicle Racing along new stretch of Reservoir Road – This nuisance behavior was discussed and will be reported when it is actually happening if at all possible for any positive action to take place. 4. Standing Orders, Media Policy, Transparency Code – A newly set up working group will address these complicated documents for completion of our versions hopefully in two months’ time for adopting and putting on the website in an orderly manner to comply with the Transparency Code. Bob proposed, Jinny seconded and all agreed to the completed application form for the Transparency Fund. 5. Wigborough Zeppelin Event Saturday 24th September 2016 – The event was explained fully and it was noted that the National Trust and Stow Maries are completely in control of the necessary procedures and precautions. 6. Courses Reports – were received from recently attended courses. CBC Planning Dept. had also sent a power point presentation. 7. Actions and Reminders List – updated, website to be discussed next month. Have you watched CBC’s latest video? A new audio webcasting system is now in place streaming live from some of our council meetings and debates, available through our website and twitter feed, or you can choose to catch up later. Links to the audio are from the ‘Your Council’ tab of essex.gov.uk with recordings available alongside meeting details and agendas. You can jump straight to a specific agenda item if that’s all you want to hear again.The Full Council meeting broadcast is planned for 14 July and committees of the council have also started to come online. Look out for tweets with links to the audio stream at the beginning of each meeting on the @ECC_DemSer twitter feed. Telephone calls to Essex County Council’s Contact Centre now start with a recorded message about call charges. This follows new legislation introduced by the communications regulator Ofcom and the Advertising Standards Authority for 084, 087,09 and 118 numbers, as part of the national UK Calling scheme. Callers to the Contact Centre on all 0845 numbers are informed that calls cost 5p per minute plus the access charge from respective service providers. 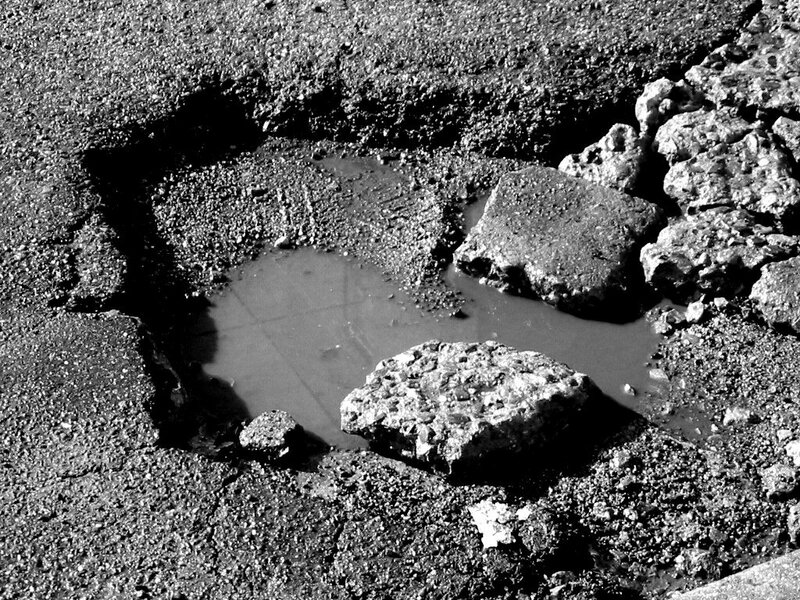 The number of unrepaired potholes on county roads has fallen. 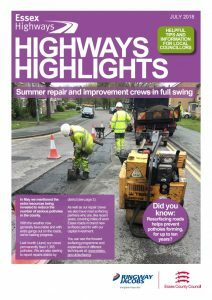 In the three months leading to June 30, unrepaired potholes and carriageway defects on the county’s busiest roads have reduced by 70 and 75 per cent respectively, compared with the same period last year. According to Essex County Council figures, potholes and other carriageway defects were maintained at under 350, with 137 on the county’s busiest roads and 206 on main and key roads. Outstanding carriageway defects on local roads have also fallen over the same period, from 5,212 to 4,626, with 2,581 potholes repaired, continuing the positive trend seen over the previous three months. Since the same period last year, carriageway defects on local roads are down by 23 percent, from 6,001 to 4,626. 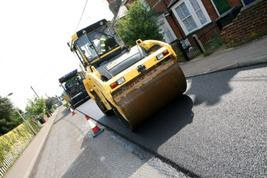 To report a pothole or carriageway defect visit http://www.essexhighways.org/tell-us-pothole.aspx. Essex Outdoors exciting 2015 summer holiday programme for 8-16 year olds has been released. Centres in Bradwell, Danbury, Harlow and Mersea will be running School Holiday Activity Days, which include up to four activities in one day, between 23 July and 28 August. Activities include aerial trekking, archery, bouldering, BMX, canoeing, caving, climbing, kayaking, low ropes, orienteering, zip wire and much, much more. Harlow is running additional climbing days as well as canoe and kayak days between 23 July and 28 August, with Bradwell also running a canoe day on 18 August. Activity days are the perfect way for children and young people to try the challenge and excitement of new activities. Activity days cost £30 per day or buy four days and get the fifth free. Dates, times and activities vary per centre so please check the website for full details or contact your nearest centre. One night break in either Bradwell or Danbury on 15 August. Please note participants must live within the administrative boundary of Essex County Council to qualify for free places. For eligibility as well as dates, times and activities per centre please check the website. Join us at this special dog themed fun day for dogs and their owners on Sunday 9 August in Colchester’s Castle Park. Bark in the Park will transform the open space in Colchester’s park into a dog and dog owner’s extravaganza. This event, led by Colchester Borough Council’s Animal Control Team, will offer everything man’s best friend needs. There will be plenty to keep the whole family (and their dogs) amused throughout the day and visitors are assured of a great day out. Owners will also have the chance to enter their pet pooches into the various dog show events that will take place during the day. There will be entertainment and demos, competitions and prizes, K9 Aqua Sports, dog agility, doggie trade stands and much more! Make sure you register online (for free) to enter one of the seven pet Dog Shows on the day! Find out more here. To find out more read the minutes on this website here.